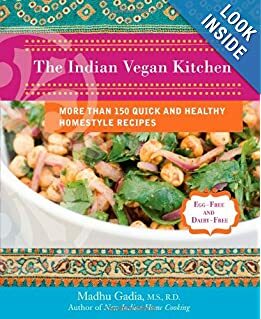 Based on the heavy reception of my post – Best Kitchen Items for Indian Cooking, I decided to speak more about my travel experiences to my readers. This time I wanted to share about what all I carried from my home to the US (during the vacations) and then how I managed to store all of those items in my kitchen. 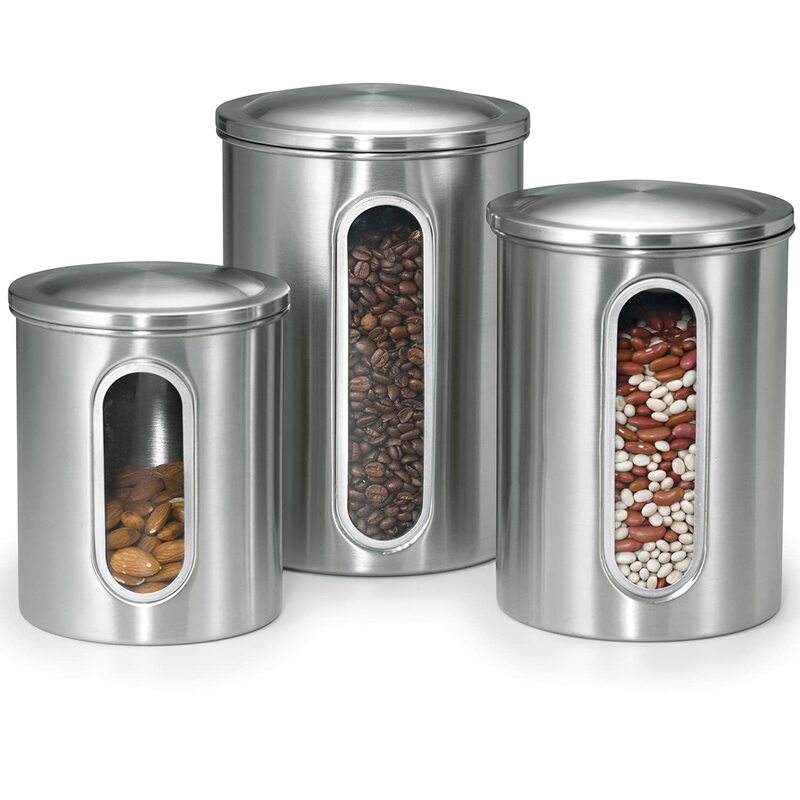 These canisters help not just storing but to beautify your kitchen countertops. 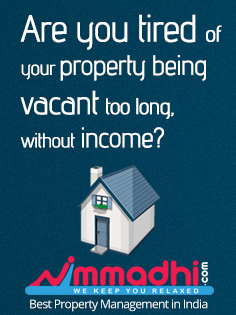 Whenever guests or neighbors visit your kitchen, they sure will exclaim, ‘hey wowwww…. Where did you get these? ’ Have a special friend whom you wanted to thank or simply send her a gift just to make her happy? 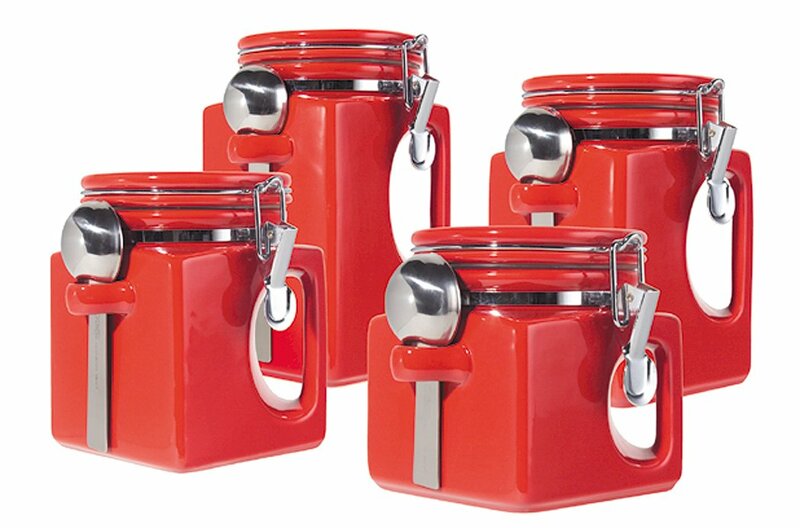 These kitchen countertop canisters will do the job perfectly well. 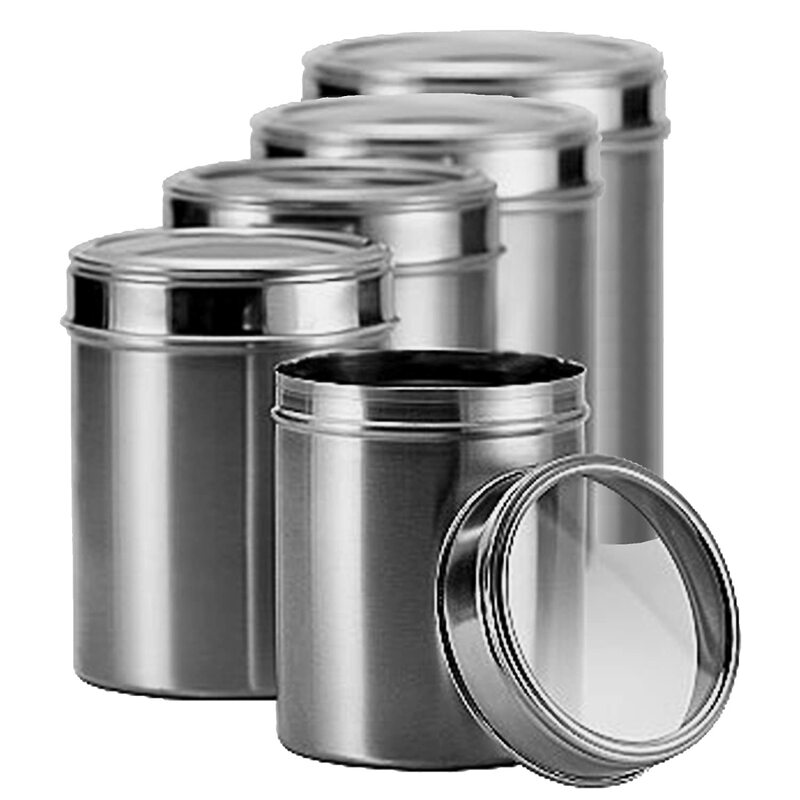 Each canister image has an associated link for your easy view and purchase. 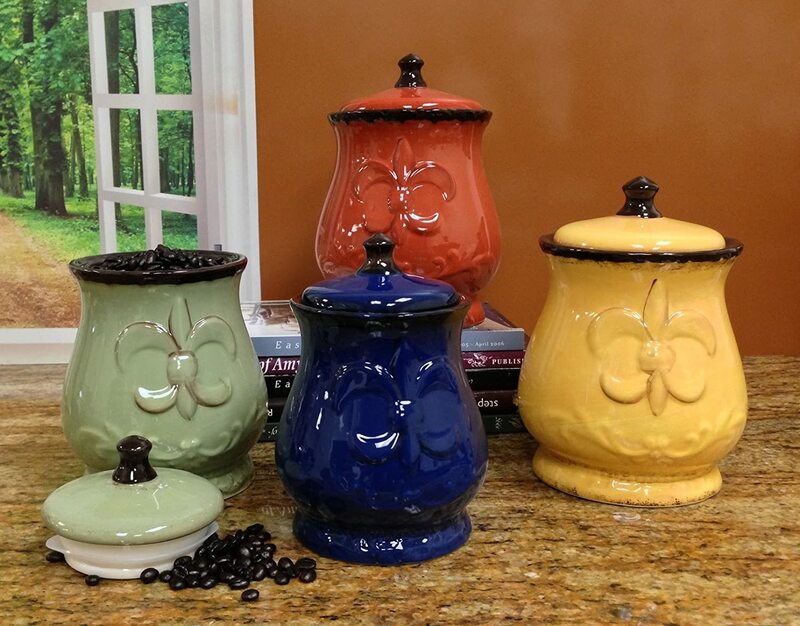 Celebrate beautifying your kitchen! Be it you live in the adjacent street or thousands of miles away, like, in the America, mothers are the ones who bottle and pack a line of kitchen and food items such as masalas, powders, podis, flour, pickles, snacks, dry beans, lentils and what not for their daughters! If at all you gather all of these dabbas and bundle them into a sack, carry it on your head & shoulders and walk on the street like a porter or a vegetable vendor… people might think you are migrating out of India for good . But thanks to God, we have neat covered suitcases to carry them! Last time when I was in my hometown (Madurai, India) the packaging started well before two weeks of my travel. Amma bought keppai (finger millet), washed, dried and ground it in the machine. She was also busy drying red chilies to grind red chili powder (milahai podi), coriander for dhaniya powder (malli podi), turmeric for turmeric powder (manjal thool) and bathing turmeric powder, shiyakkai (natural hair cleansing powder… recipes soon ) and also was busy shopping some kitchen gadgets like juice strainers, paneer cloth, rice strainers , this, that… All for me . Not to mention, the additional podis and homemade snacks from my mother-in-law and sister-in-law . In-laws packed murukku, idli podi and masal podi (which I use for all the varuval/fry recipes like urulai kilangu varuval, peas masala etc.) To top it all, my athai (aunt) came rushing all the way from Trichy to give me murukku maavu (flour to make Chakli/Indian rice lentil crackers) and ulundhu kali mavu. Even until the afternoon on the day of my travel, amma made some Idiyappam mavu (string hoppers flour/nool aapam flour) and packed it for me . Oh..wow… Did I forget to mention about the homemade curry leaf powder given by Pachchamma from Pondicherri? Yeah, theeeeese many to pack and carry! I wonder if it’s only with the husband or it’s the pattern with all the guys, they keep their face stern when the items pile up for traveling. 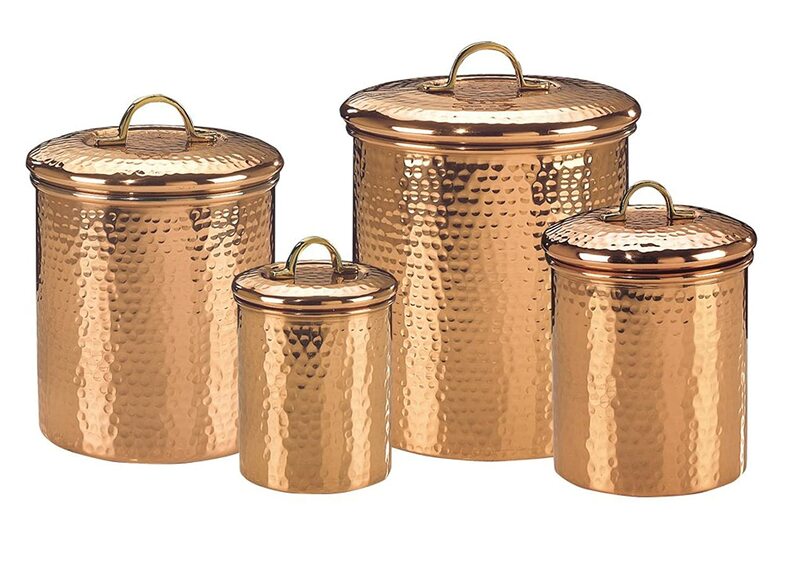 I was all happy when I got these kitchen items from my mom and relatives. But the husband kept on murmuring into my ears…’I don’t know, weight will be more… I won’t pay extra pennies for luggage… ’ Every day, some way or other, items get added to the travel list. Every time, EVERY TIME I think of an item to carry, he’ll shrug his shoulders and murmur… ‘I don’t know, weight will be more… I won’t pay extra pennies for luggage… ’ Anyways, his murmurings get in through one ear and pass out through my other ear . 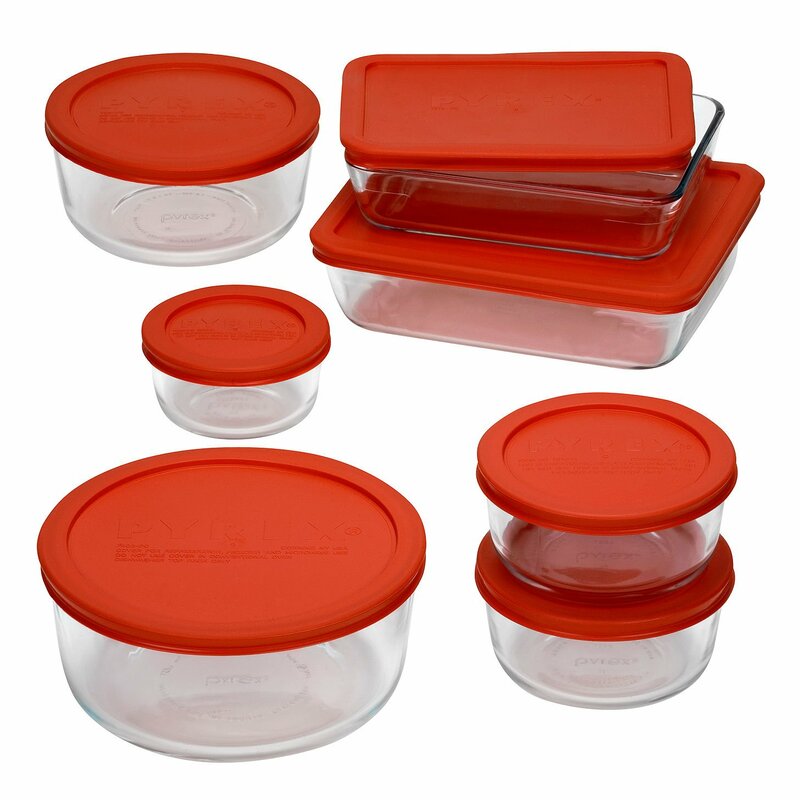 Then on reaching the US, the husband made peace with me by buying some wonderful storage boxes for all these podis (powders and masala), maavu (flour), lentils (sometimes you can hide $s and Rs. inside it, yeah just like your grandmother or mother), dry beans, nuts, dry fruits, spices, semiya (vermicelli), snacks etc. which I carried from India. 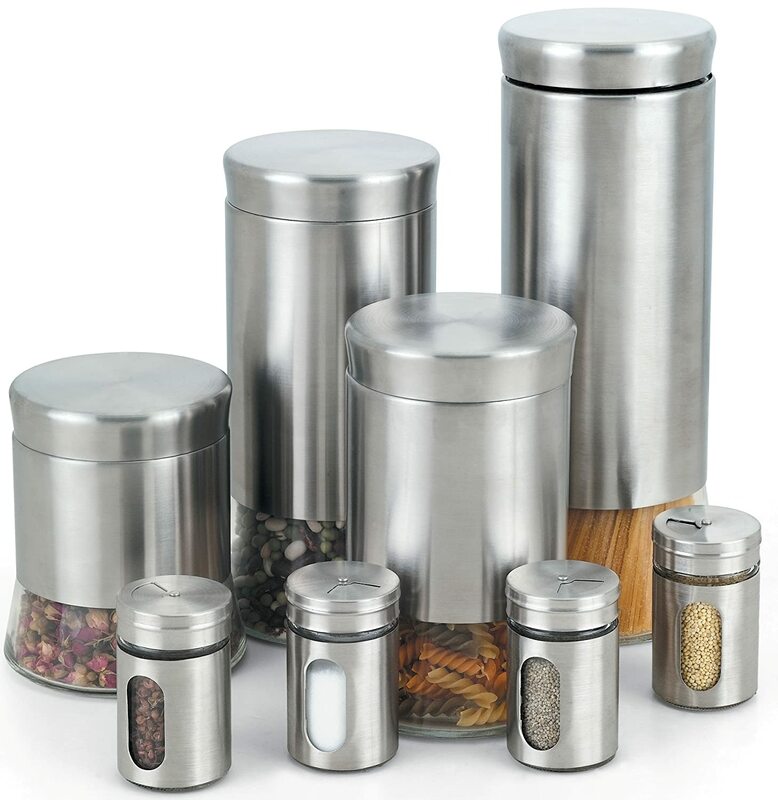 I now also started to store pasta, spaghetti, toffees, cookies, sugar, salt, pepper, tea powder, coffee powder etc. So girls, whenever you pack for traveling abroad, if you doubt the luggage will overweigh, just do not leave the lesser priority items at home. Bring them in a separate bag along with you to the airport. When you check-in, leave that extra baggage to whoever comes with you to send off. If you get last minute surprises like how I got, be it an overweighed luggage or under-weighed luggage, just remove or stuff more with the help of the people who has come with you to send off. 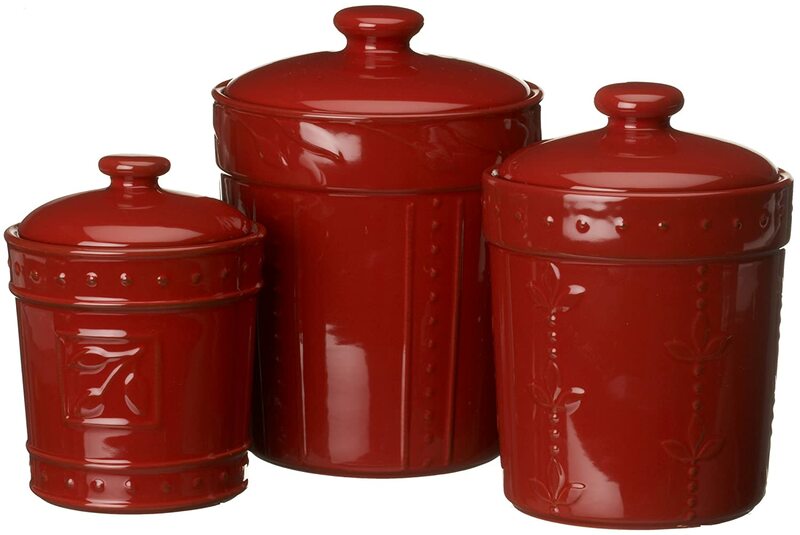 Else just accept whatever and put the blame on your husband and wait until he makes peace by getting you these gorgeous kitchen storage containers . Happy travel. 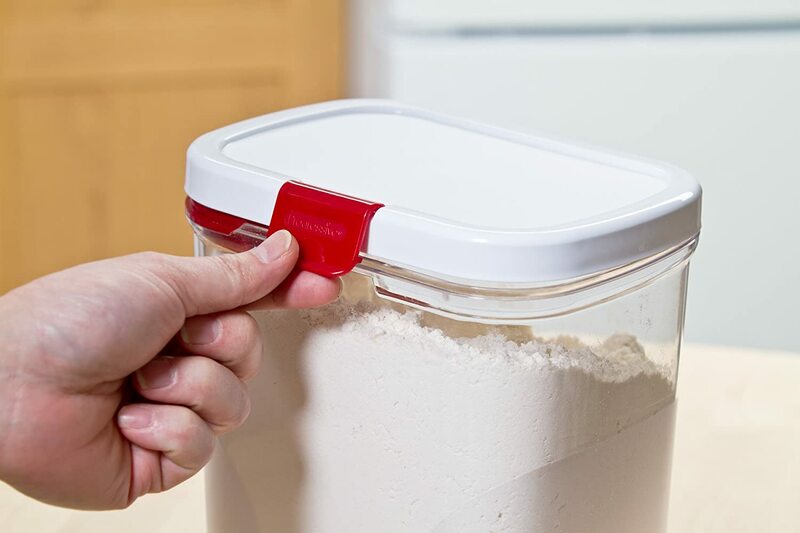 You can also get big shelving containers if you have huge amount of grains, atta, pasta, cereals and flour to store. 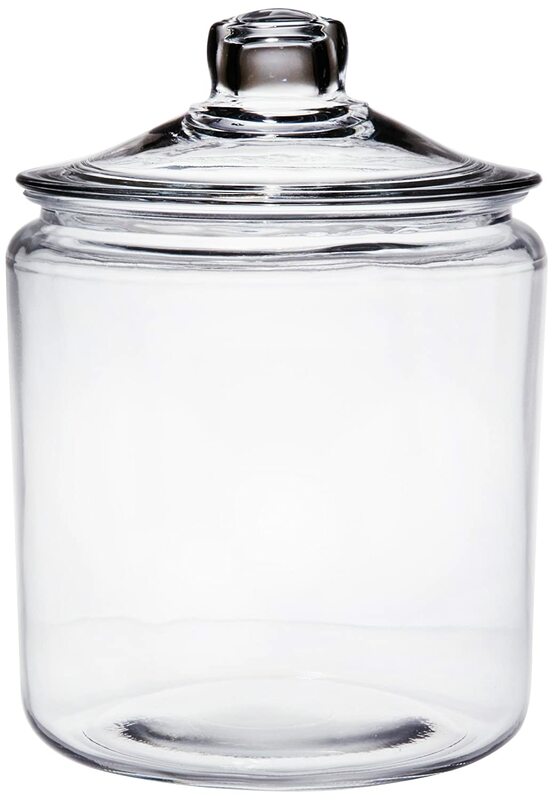 If you are crazy for big glass storage jars like me…. 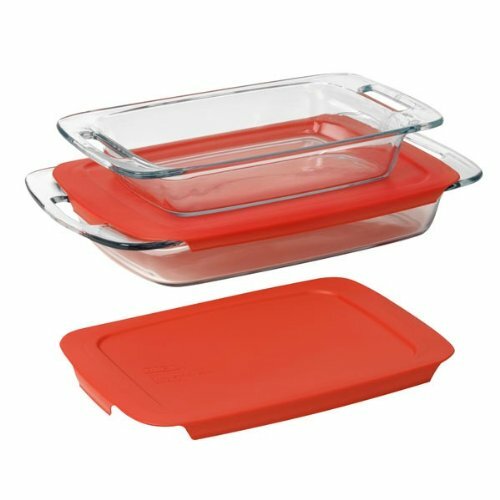 Oh, and if you want simple storage boxes to store cut vegetables, fruits or leftover food in your refrigerator, these rubbermaid storage boxes are the best. 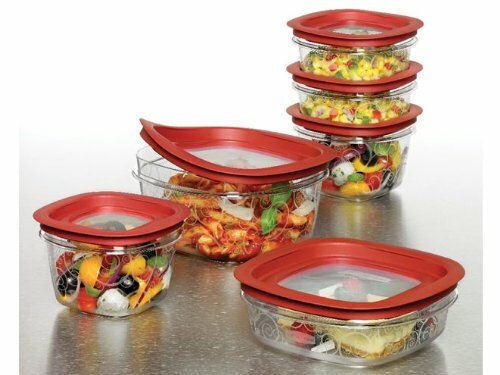 And for packing lunch, for big party gathering, or for baking, you can use Pyrex glass bowls – comes in various sizes and shapes like round and oblong.